This deluxe, all-color book is the well-illustrated product of the investigation of star maps all over the world made by South African researchers Herschel and Lederer. The authors say that new findings link all pyramid civilizations. Their research reveals the ultimate secret of the Sphinx, and proves that all 50 pyramids of Lower Egypt represent a single star map. The authors reveal the human codex found in a star map at Stonehenge, and confirms that the Gods of the Ancients were cosmic visitors; they contend that ultimately all humanity is descendant from an arrival from a nearby star over 17,250 years ago. Packed with great color photos on glossy paper, this book is a fascinating and visual account of ancient star maps and their purpose. Chapters include: Star Map Egypt; Star Map Teotihuacan; Star Map Tikal; Star Map Angkor; Masked Gods and Pyramids; The Sacred Symbol; The Inca Star Map; Pleiadian ‘Gods’; The Dawning of Advanced Technology; Star Map Stonehenge—Key to the Hidden Code; The Mars Enigma; Star Map Cydonia; The Human Codex on Mars; Decoding the Mars Message; The Final Pieces of the Puzzle; more. Our inventory is by special purchase from South Africa. 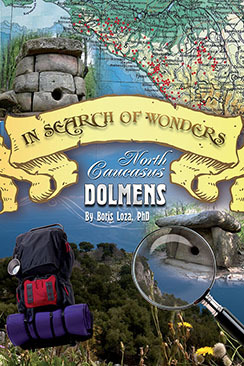 Published at $29.95 our special price only $18.95! 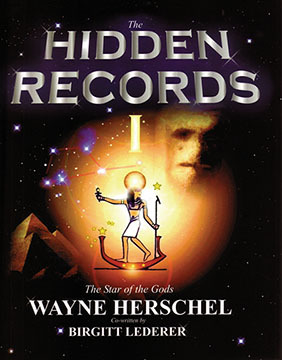 THE HIDDEN RECORDS: The Star of the Gods By Wayne Herschel with Birgitt Lederer. 292 pages. 8x10 Paperback. Illustrated. All Color.